THE Football Association of Zambia (FAZ) president Andrew Kamanga should investigate the source of the COSAFA provisional squad list and crack the whip, if necessary, to bring sanity to the house, ex-FAZ official Keagan Chipango has said. Chipango was reacting to national team coach George Lwandamina’s statement that he did not release the list and that some of the names were removed. On Tuesday, Chipolopolo team manager Stanley Kaseko released a 22-man squad list consisting of local based players scheduled to enter camp from tomorrow to April 27 in preparations for the COSAFA and the 2017 Africa Cup of Nations qualifier match against Guinea Bissau on June 4. Chipango in an interview yesterday said he was shocked that the media could have access to the list of names not drawn by the coach. “It is unfortunate that what happened in the past FAZ administration is being repeated. I advise Kamanga to quickly investigate the source of that list. There is no way a list can be unveiled to the public without the knowledge of the coach and the FAZ executive committee. “This is undermining the trust the councillors bestowed on the new executive. The president should swiftly put the house in order. Where necessary crack the whip to bring sanity,” he said. 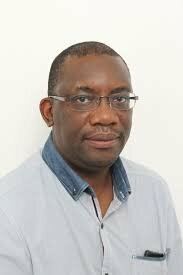 Chipango said Kamanga should quickly appoint a general secretary to avoid such downgrading mistakes. “The appointment of the general secretary should be done hastily to ensure Football House does not become a kiosk (Katemba). Currently, everyone is a boss hence leading to such confusion,” he said. Meanwhile, FAZ acting general secretary Sam Phiri said the list did not pass through their hands. “The appointed acting general secretary Katongo Kabungo is not in office right now. I am not aware of the list and will investigate the source,” he said. Meanwhile, Chipolopolo Soccer Fans Association (CSFA) patron Yotam Mwanza said he was shocked that Lwandamina did not know about the provisional list of names for the team. Mwanza said the act raised many questions from the fans on how the selection process was done. “We would like to know who released the list to the public without the knowledge of the coach or FAZ. The team manager unveiled the team saying it was entering camp on Sunday to begin preparations for the COSAFA and AFCON qualifiers. We call on FAZ to quickly look into the matter,” he said. Strikers: Adamson Mulawo (Green Eagles), Festus Mbewe (Red Arrows), Patson Daka (Power Dynamos) and Conlyde Luchanga (Lusaka Dynamos).